With 208 days of groomed trails at Birch Hill this season, we had a Mother’s Day farewell to this year’s extended Nordic skiing season. Some of us selected the snowy sections, while others sought a real transition to summer adventures. 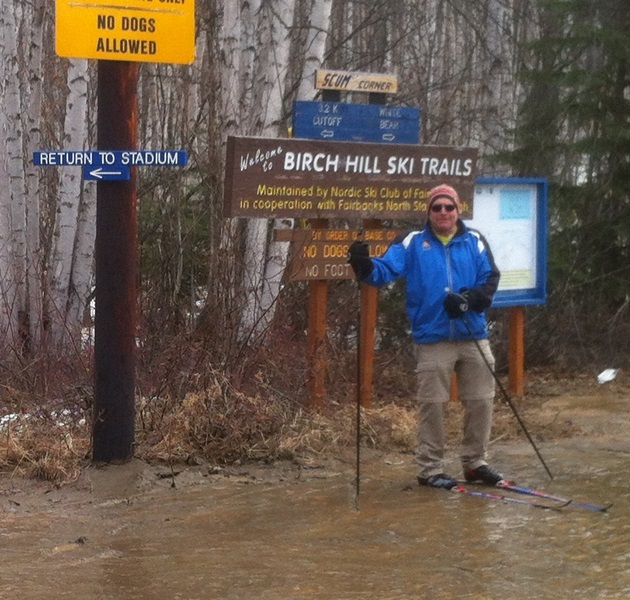 However, we all concluded that the Sunday ski was a fun way to end a record-setting winter in Fairbanks, AK. 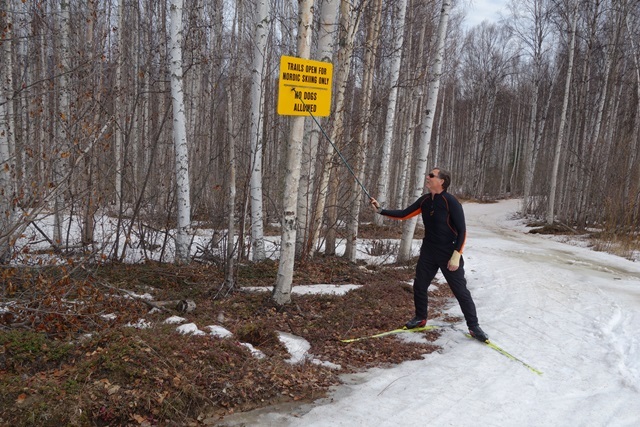 This entry was posted in Sonot Kkaazoot race organizers and tagged Birch Hill Recreation Area by Sonot Kkaazoot. Bookmark the permalink.